Devil's Island, French Guiana There was no escape from this Island prison! 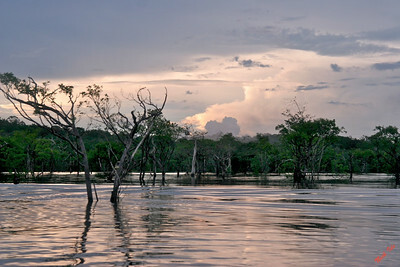 Amazon River near Manaus, Brazil Great place for Piranha fishing! 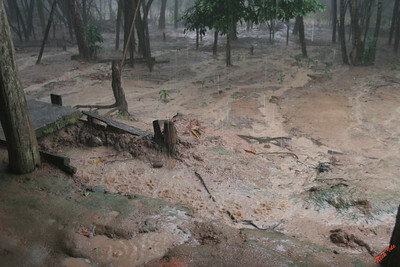 Tropical rain storm in the Amazon jungle. 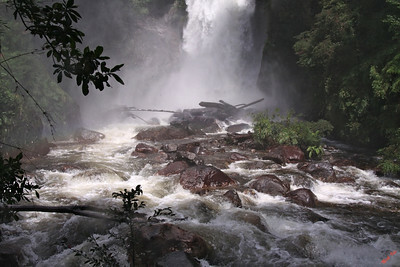 Sea Scouts in the middle of the Amazon. 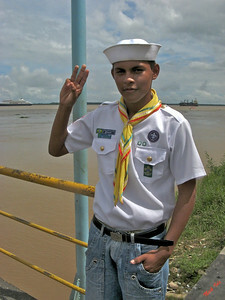 These scouts were helpful guides at our stop in Parintins, Brazil. Dressing like old time natives in Boca Da Valeria, Brazil. 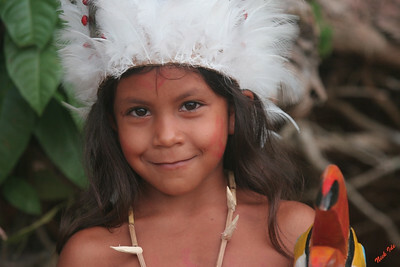 Amazonia is coming of age, but they like to give tourists a of view an earlier life. 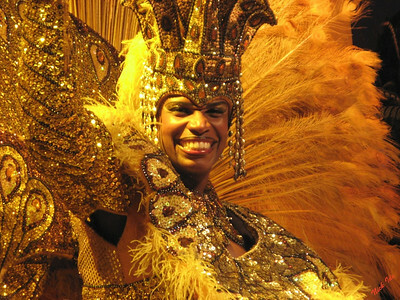 There is nothing like Carnival in Rio!! 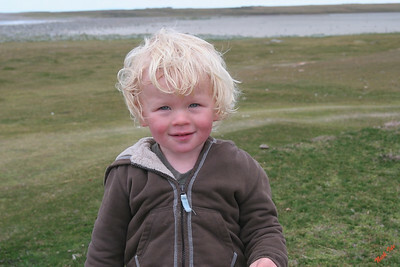 This little fellow may be "President" of the Falkland Islands some day. 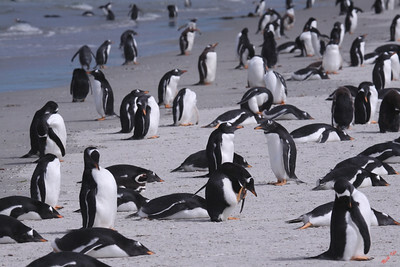 This party controls most of the votes in the Falklands. 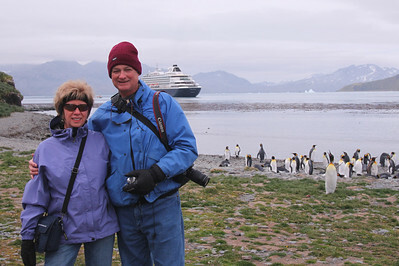 Our visit to Grytviken may be one of the last for ships with over 1000 tourists. 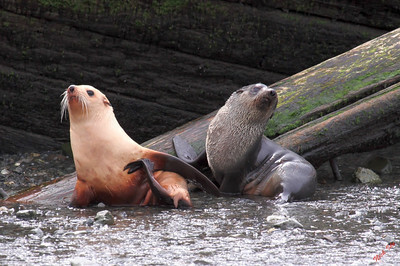 Conservation and preservation regulations will protect this site of natural beauty. 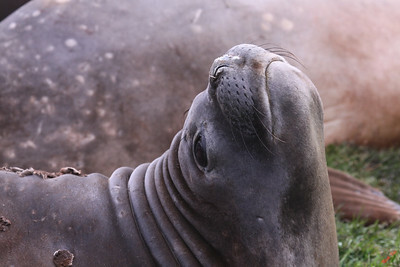 Elephant seal. Quiet please! I was taking a nap. 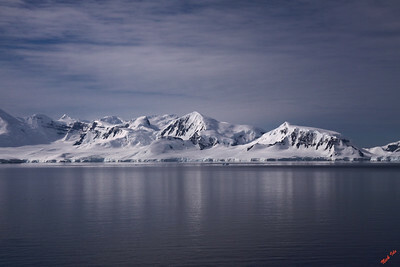 Antarctic peninsula. 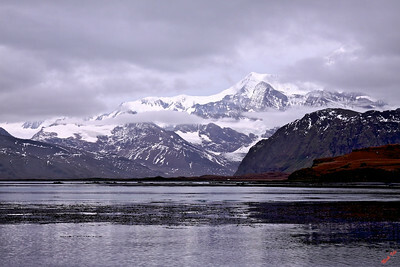 Pristine beauty in quiet grandeur. 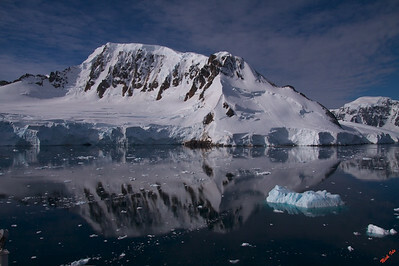 Up close and personal in the Antarctic's Lemaire Channel. 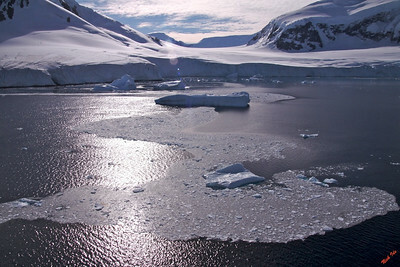 Gathering sea ice will block the channel when winter comes. 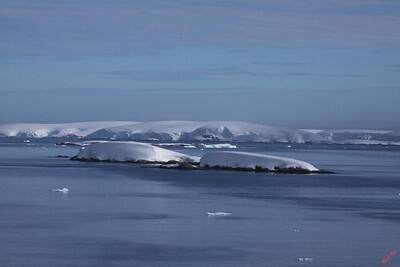 Beautiful summer day in Antarctica. Just a little cold: about 32 deg. 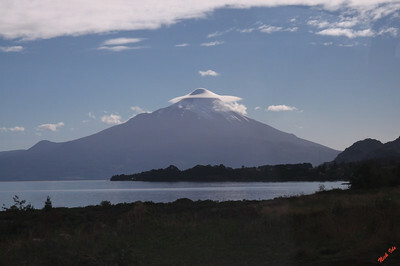 F.
Lenticular cloud over volcano near Puerto Montt, Chile. Hiking in Chile. What a beautiful country. Dancers at winery near Santiago, Chile. The wine was great. 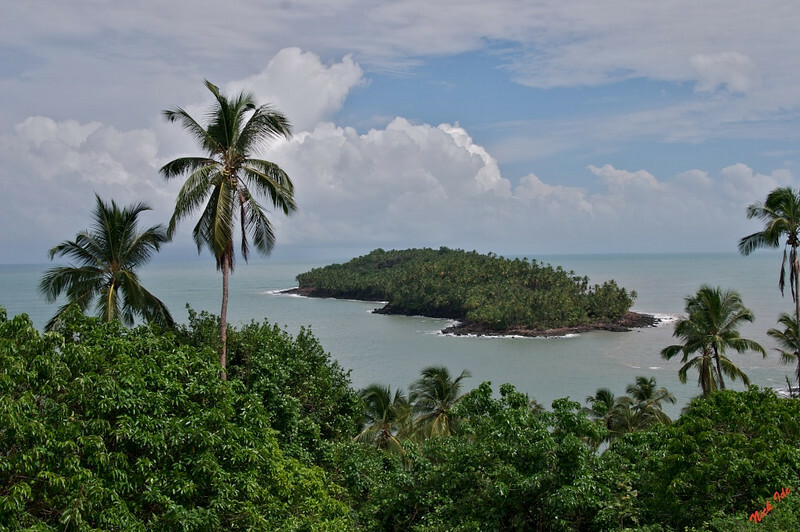 There was no escape from this Island prison!